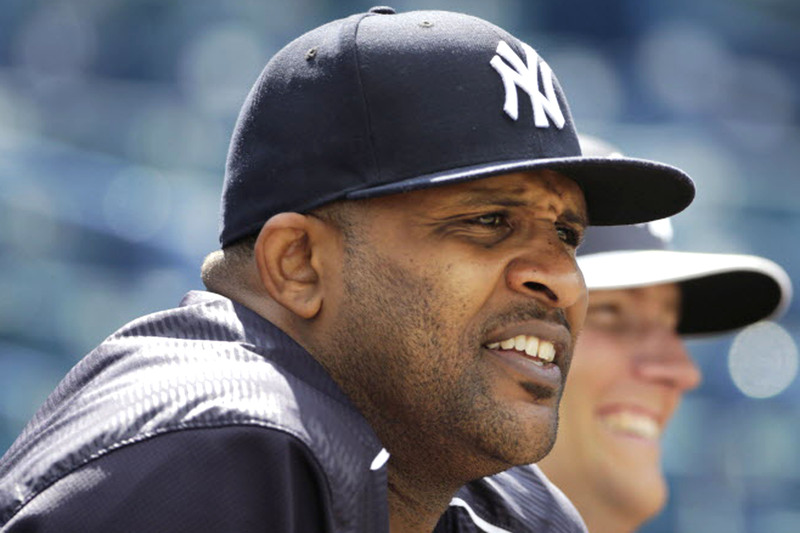 News just broke that CC Sabathia will now be entering an alcohol rehabilitation center and miss the entire postseason. This couldn’t come at a worse time with the Yankees about to compete for their playoff lives tomorrow night. If they win tomorrow against the Houston Astros, one has to wonder how the rotation will be set for up for the American League Division Series. The game still has to be played, so lets not get ahead of ourselves. With that said, the main concern is getting CC back on his feet. I think I can speak on behalf of all Yankees fans in saying that we wish him all the best and hope to see him back on the mound as soon as possible. Get out! Yankees on PIX11! Earlier this year, news broke that the Yankees would join the Mets on PIX 11 after striking a deal with the YES Network. That means Yankees games will no longer be televised on MY9. PIX11 will televise approximately 21 games this season; its broadcast schedule will be announced at a later date. PIX11 had been the broadcast home of the Yankees from 1951 through 1998. YES, which remains the exclusive local television rights holder for the Yankees, will televise 125 Yankees games this season. No more captains for the Yankees? Please. I love Derek Jeter as much as the next guy, but enough is enough. Yes, that’s right…I said it. Derek Jeter is a mortal being…just like Lou Gehrig and Thurman Munson before him. There’s nothing that make Derek any more special or deserving than those two, so I don’t see why the New York Yankees shouldn’t have another captain. After Lou Gehrig passed away from ALS (now known as Lou Gehrig’s disease), Yankees manager Joe McCarthy stated that the club would never have another Yankees captain. Years went by and the organization didn’t have a captain. In 1976 that changed, as George Steinbrenner appointed Thurman Munson to be captain. Just three years later (1979), Thurman died in a tragic plane crash, leaving the Yankees captainless. Nettles, Randolph, Guidry, and Mattingly followed him. What I’m trying to say here is…nobody is bigger than the interlocking NY on their chest. I don’t believe they need to appoint a new captain right away, but when the right person comes along I don’t see anything wrong with giving that rank to a deserving player. I think you can safely bet that the Yankees will find somebody to be named captain in future years. And if you like to bet like me, you should check out: www.SportsBettingInfo.com. Life goes on, and so do the Yankees. This is the current state of the AL East. 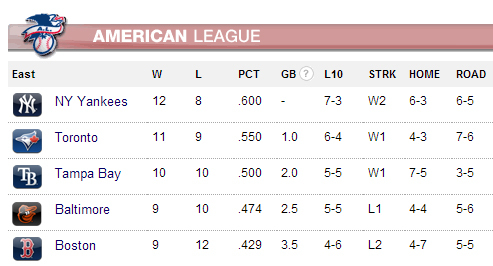 The Yankees in 1st place at 12-8, and the Red Sox in last at 9-12. That’s not to say this is the way it will end. That would be absolutely absurd. The Yankees still have 142 games left to play. It’s just nice to see a complete reversal of the projected standings thus far, based on many experts in the pre-season. Pitcher Masahiro Tanaka is the seventh Japanese player to be part of the New York Yankees. Before signing him, the Yankees were in the ninth place in the odds lists for winning the 2014 World Series. The favorites to win this season are Los Angeles Dodgers. You can check your favorite team’s place in SportsBettingDime.com. Tanaka signed a seven-year $ 155 million contract, becoming the fifth Asian pitcher to join New York. The Yankees will have two Japanese in the rotation for next season, with Tanaka and veteran Hiroki Kuroda. 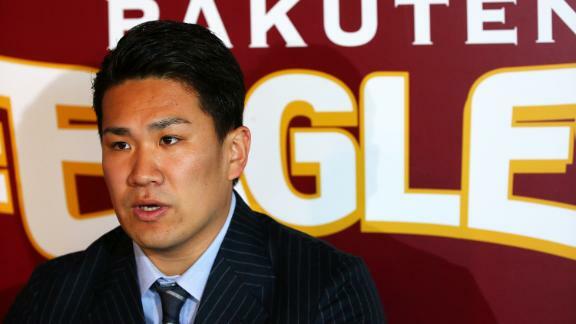 The 25-year-old ended last season with a 24-0 record playing for the Rakuten Golden Eagles, with a 1.27 ERA. In 175 games, the Japanese threw 53 complete games with 18 shutouts and 1,238 strikeouts. The team led by Joe Girardi has had a good experience with Japanese players (Ichiro Suzuki and Hideki Matsui), but none has excelled on the mound. The first Japanese pitcher to reach the Yankees was Hideki Irabu in 1997, who won two World Series with the team but did not take part in any game. Irabu finished with 27 wins and 24 losses in two years in New York, with a 3.31 ERA. He allowed 396 hits and 165 runs while striking out 317 rivals. Kei Igawa was signed in 2007 and stayed only two seasons with the team. The former Hanshin Tigers player started 13 games and finished with a 2-4 record with a 6.66 ERA. He allowed 89 hits, 54 runs and 15 home runs. Due to his low-level of play, the team sent him to AAA team and tried to trade him to another squad in Japan. Ryota Igarashi, who arrived from the Toronto Blue Jays, was the third Japanese pitcher to try his luck with the Yankees. He joined the team in 2012, but had only two appearances, pitching three innings with four hits and four runs. After four seasons with the Los Angeles Dodgers, Kuroda signed a one-year contract with New York in January 2012 and achieved a 16-11 mark. Thanks to his good numbers he stayed for another season, but only got 11 wins and closed with seven losses in his last 10 appearances. Next season, Tanaka will be the ninth Japanese active player in the MLB, but the Yankees expect him to become the biggest star of the Rising Sun country to return to the playoffs and aspire to another World Series title. Carlos Silva, WCBS 880’s producer/engineer for Yankees games passed away this past Sunday after battling cancer. If you’ve ever listened to John Sterling and Suzyn Waldman on the radio, his name should definitely sound familiar. He was 50 years old. Masahiro Tanaka, the big off-season prize faces a 5PM deadline on Friday to choose what team he’d like to play for. According to reports, the Yankees, Dodgers, Diamondbacks, White Sox and Cubs have all made offers to Tanaka. It stated, “most of those were for more than $100 million over six years.” Let’s hope the Yankees land this guy. He’d be a huge asset to both the Bronx Bombers and your fantasy baseball teams. The Yankees and Francisco Cervelli have agreed on a one-year contract reportedly worth $700K. Who knew Cervelli was still a thing? This allows him to avoid salary arbitration and he’s back in the picture. Last year, Cervelli fractured his right hand and was suspended 50 games by MLB for violating the league’s drug program, ending the rest of his season. Breaking News: Alex Rodriguez suspended 162 games. Will take suspension to federal court. Major League Baseball has now suspended A-Rod 162 games, which would knock him out of the entire 2014 baseball season. A-Rod is going to take it to federal court. Just when we started to think Hal Steinbrenner was nothing like his father, he starts showing us signs that he may have a little “Boss” in him. Up to this point, the Yankees have acquired three big-time free agents in McCann, Ellsbury and Beltran. Following today’s press conference for Jacoby Ellsbury, Hal was questioned on the recent signing and what the organization had planned for the rest of the off-season. His response: “We’re not done yet.” That’s exactly what Yankees fans wanted to hear. George always put money back in the team because he felt like the New York fans “deserved it”. Lately, Hal has taken over that same sentiment, and I gotta say..it’s nice to hear. I’d bet there might be a few more presents nestled under your Christmas tree this year that you don’t know about. Years ago, George spoke about letting the “young elephants” into the tent, and it was the beginning of a transitional phase. George knew his reign was coming to an end, and it made the fan base worry if the Steinbrenner family would even still be owners of the ball club after he was gone. Hal and Hank haven’t exactly been the most visible or outspoken owners of the last few years, making an occasional newspaper headline, being seen inside the Steinbrenner box or attending a stadium event. At the same time, I don’t think anyone could possibly fill the void that George left behind. Prior to the 2009 season (George was still alive), the Yankees made a big splash in the off-season with the new ballpark opening up. They brought in CC Sabathia, A.J. Burnett and Mark Teixeira. Even though George wasn’t in complete power at the time, one can look back and say that was “George’s last hurrah.” Looking at the way the Yankees are acting now, maybe Hal and Hank grabbed the ends of those reins that their father left behind. Sign on the dotted line! 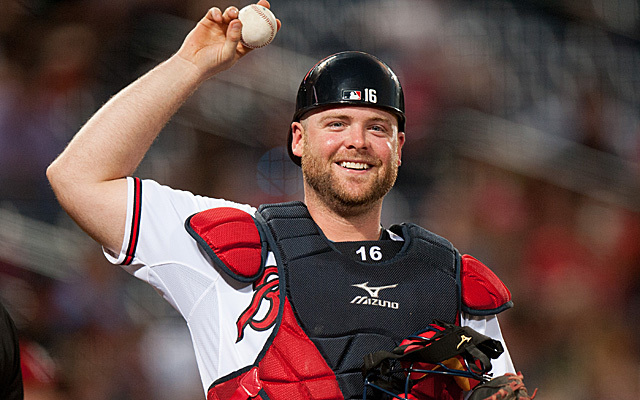 Brian McCann is headed to the Bronx for $85 million over 5 years. His contract will include a 6th year option, bringing the grand total to $100M if he so chooses. Don’t worry Yankees fans. You’ll no longer have to worry about whether Chris Stewart or Francisco Cervelli will be starting behind the plate. McCann will be the first offensive force behind the dish since Posada left the team back in 2011. Alfonso Soriano last played for the Yankees a decade ago. Prior to the 2004 season, the Yankees dealt Soriano and Joaquin Árias to the Texas Rangers for Alex Rodriguez. Now, with the Yankees struggling offense, the club is in desperate need of some pop in the lineup and are looking to bring our old friend back. 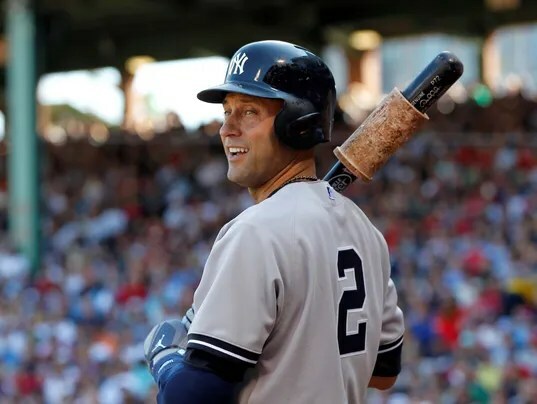 ARLINGTON — In dire need of a bat with thump and an indication the Yankees may believe that Alex Rodriguez isn’t going to play this season, the toothless Bombers are close to acquiring Alfonso Soriano from the Cubs, The Post has learned. According to a person familiar with the talks, the Cubs will pay the bulk of what is left on Soriano’s contract. He makes $18 million this year and the same for next season.